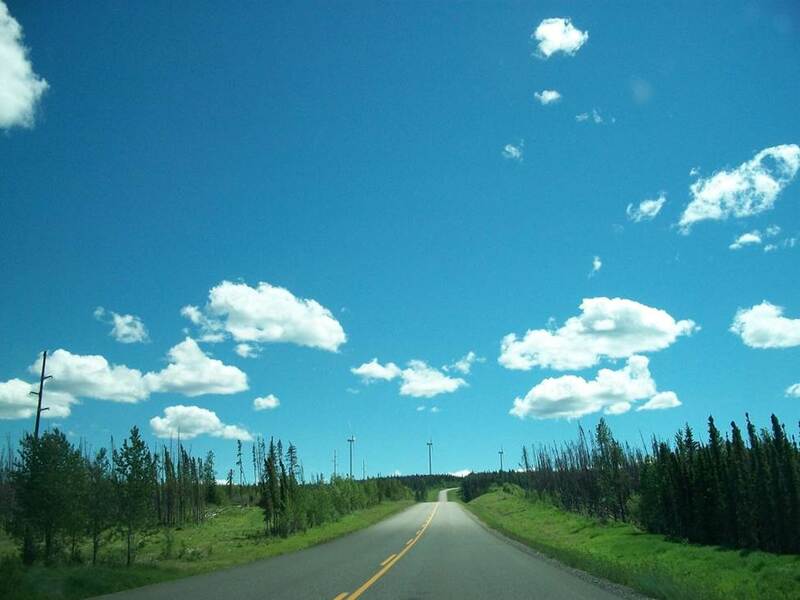 At the start of summer, we asked you to share your road trip photos by using the hashtag #BCRoadTrip. You did not disappoint. In fact, we were so impressed by the images coming from all you intrepid travellers – exploring the province from the far reaches of the north, to the southern tip of Vancouver Island – that we started featuring them as our Facebook banners. We also decided to pull together some of our favourites in this photo blog. 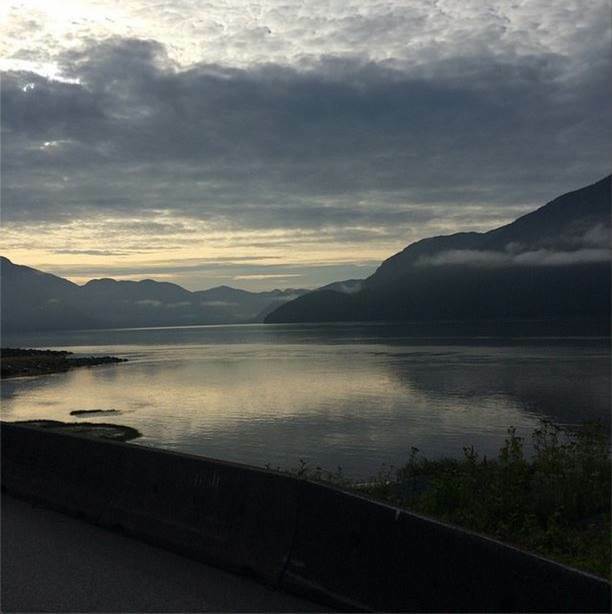 So, without further ado, here are a few of the road trip memories you were so kind to share with us and fellow road trippers around BC. 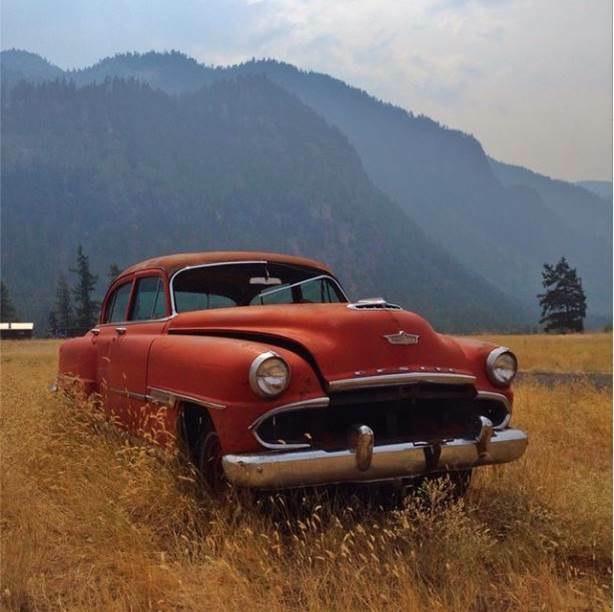 Why we like it: Can’t help imagining what it would have been like to cruise BC in this vintage automobile, and how the roads, buildings and landscapes may have looked during its glory days. Who knows, maybe your wheels will someday lay to rest in a field of tall grass, inspiring future road trippers on their journey. 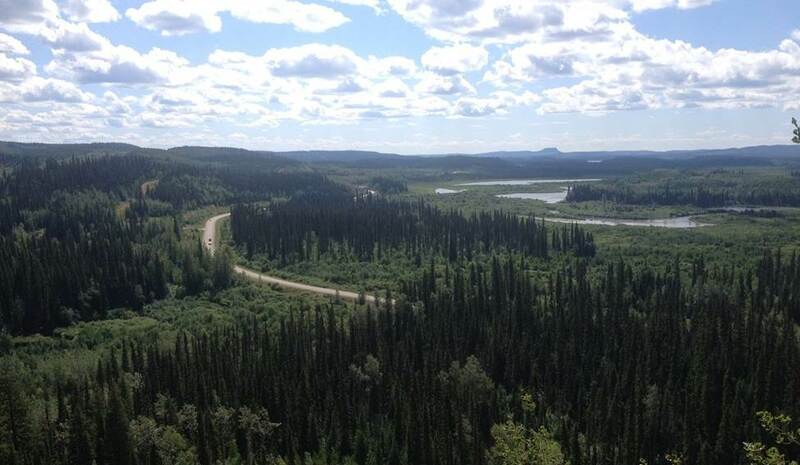 Why we like it: There are amazing views along the Stewart-Cassiar Highway, including this one. 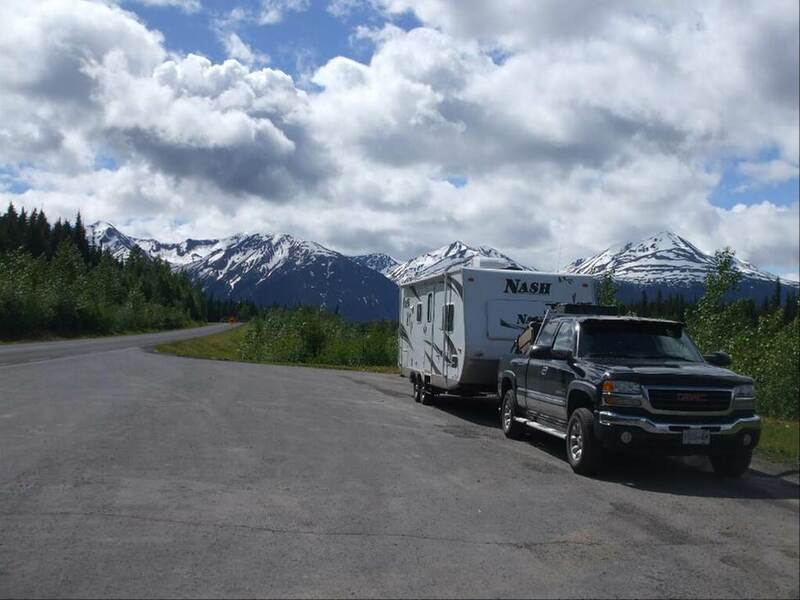 Seeing a truck fully equipped for camping puts a smile on our faces. Wonder where they stopped to make camp next…? 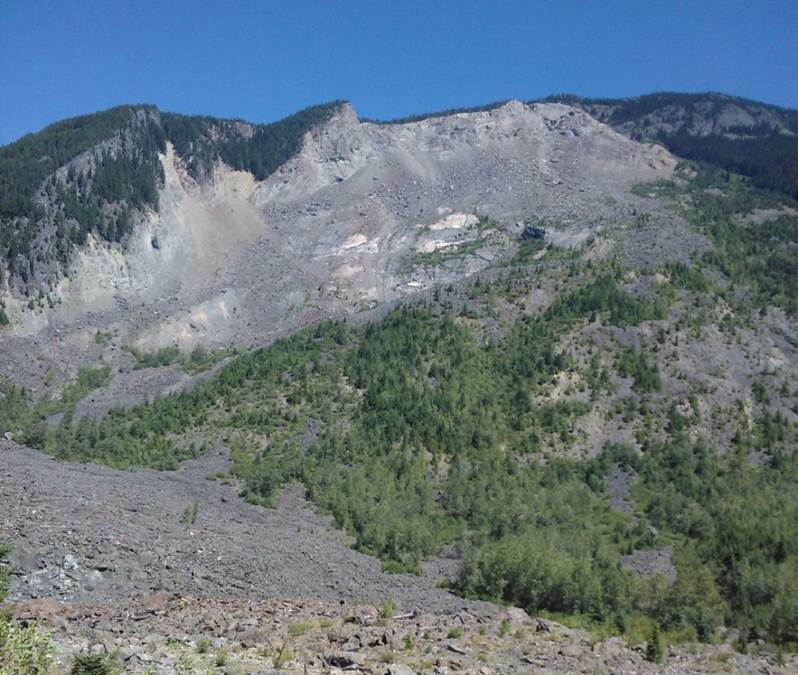 Why we like it: This wasn’t just any road trip for the photographer, a University of Victoria student leaving his home town for another school year on Vancouver Island. Aside from it simply being a beautiful roadside landscape, the layered horizon evokes a sense of the unknown – an anticipation of what may be around the next bend. Why we like it: The light in the hills is wonderful. But more importantly, it makes us want to run full speed down a dock and jump in a lake. Why we like it: This shot emits a sense of calm. 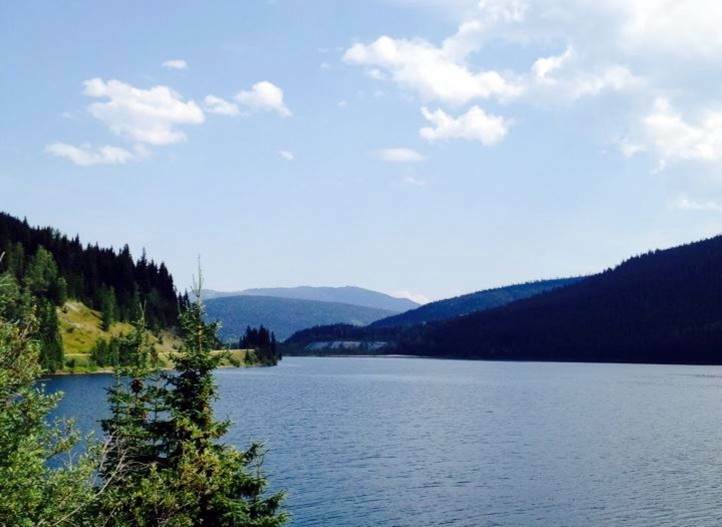 It was taken from the Jack of Clubs rest area on the way to Barkerville, an end-of-the-road historic town founded in 1862 as part of the Cariboo Gold Rush. Why we like it: This photo reveals the lay of the land in an interesting way: patches of forest, spots of cloud, and Crooked River snaking next to the highway. 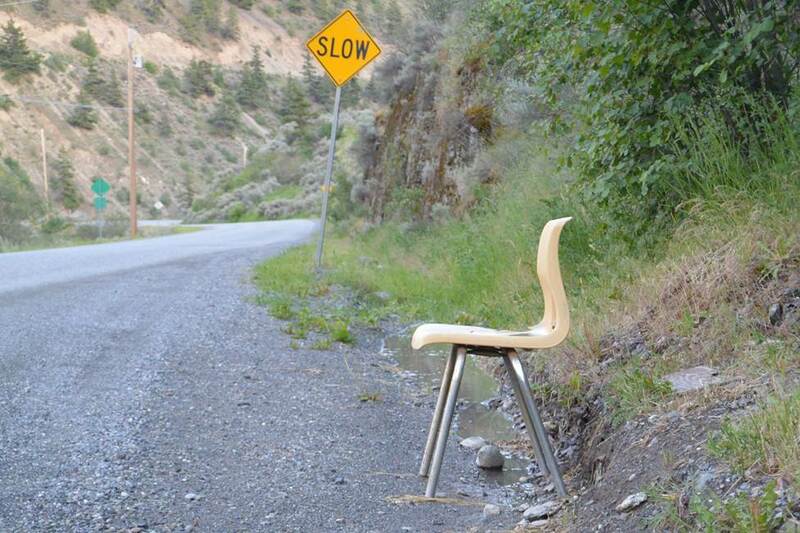 Why we like it: The “slow” sign makes us chuckle in light of the random roadside chair. It’s one of those images that makes you wonder: is there a bus stop nearby, or is it just someone’s chillin’ spot…? 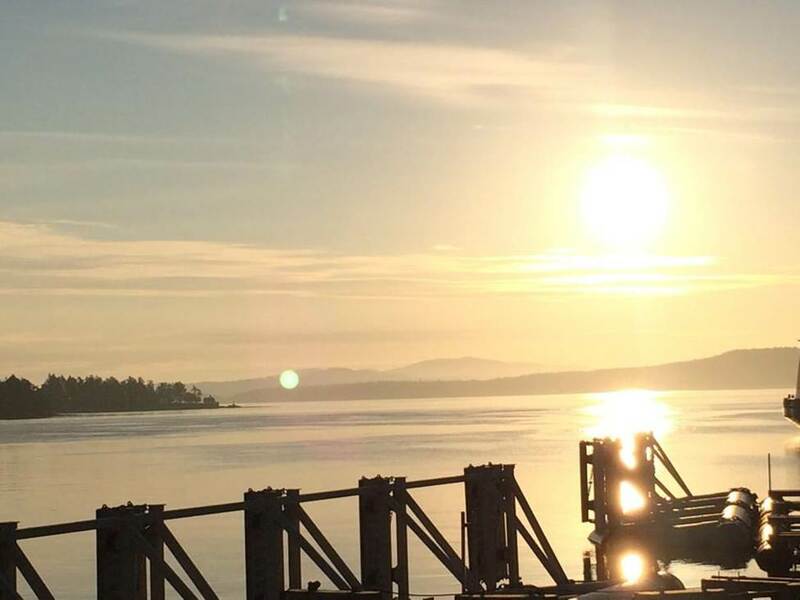 Why we like it: The early morning light over the Gulf Islands is spectacular. So many road trips begin at sunrise. We think this is a very appropriate photo to end with – inspiration for planning your next adventure. Thanks to everyone who shared their journey with us over the last few weeks. So many great images – it was difficult picking out just 10 photos. As the summer road trip season continues, please remember to stay informed of road conditions and events by visiting DriveBC. These are wonderful photos! 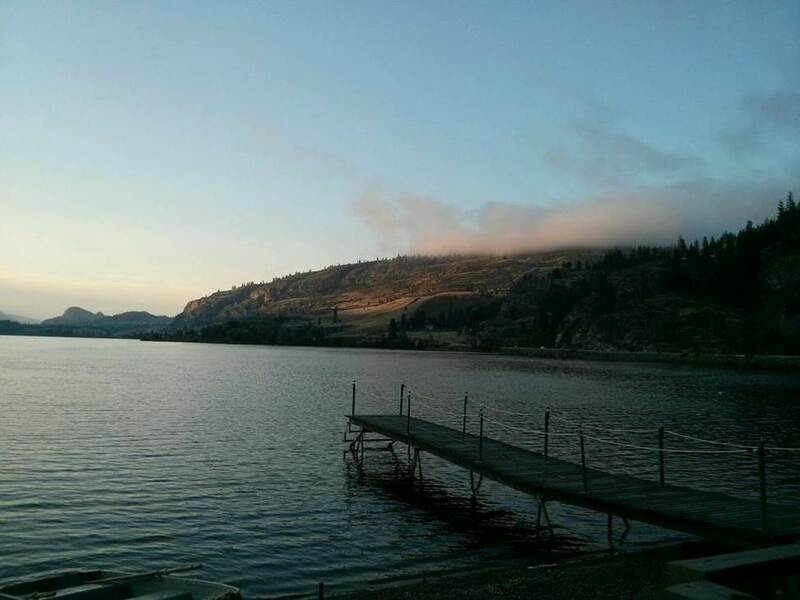 Thanks go to all the photographers for sharing their images of our beautiful province. All the pictures are so amazing and what a tough job you had to do! What awesome adventures everyone had along with the stories! Looking forward to next Summer #BCroadtrip unless you have another fun filled journey for us to do!?! Great photos. Thanks for the trip.